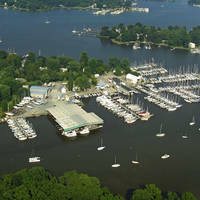 Mill Creek is one of two major yachting thorofares in the Solomons Island area, the other is the very active Back Creek. 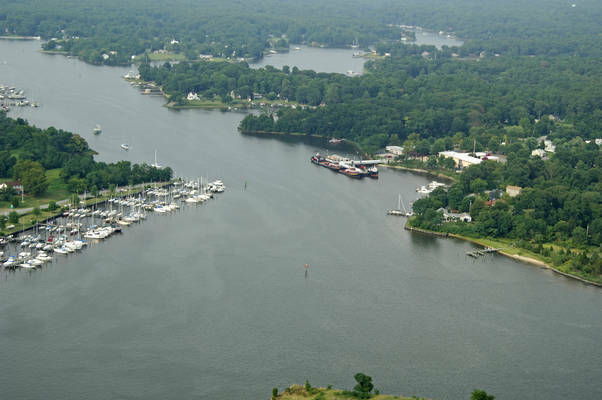 Mill Creek shares a joint entrance with Back Creek at Solomons Island and has not only excellent anchorages but a few very well equipped marinas. Mill Creek is reached via the Patuxent River at Solomons Island, and two primary approach channels - one from the south and one from the east - lead the way toward the inlet. Approaching from the east, Drum Point is marked by flashing green 4 and should be left a good distance to starboard. 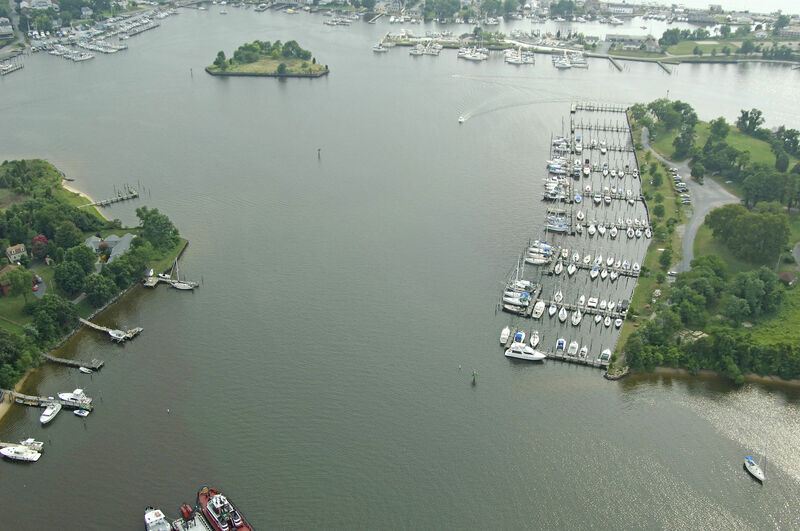 From here, set a course for green daybeacon 1, and then head toward green daybeacon 3 and red daybeacon 2A. Give all marks a wide berth, as they mark a large shoal area to port heading west. Once clear of these two marks, head in, making sure to honor red daybeacon 4 as you head in toward the flashing red (2+1) light on the breakwatered island. 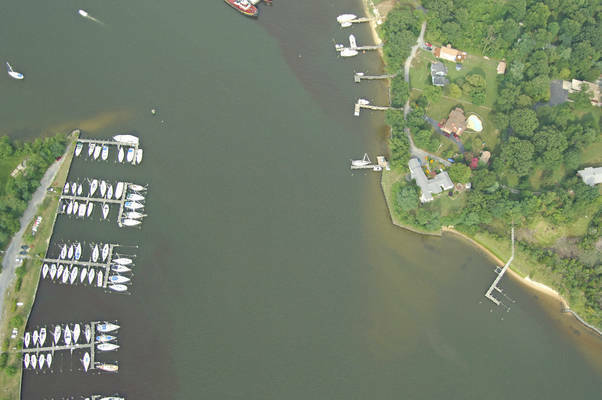 From the south, mind quick flashing red 6A marking the long shoal extending southward from Sandy Point, and then head for flashing green 3, making sure to keep clear of the marked pier. From flashing green 3 you can start in to Back Creek at red daybeacon 2, and then toward the flashing red lights on the island and Ship Point. No reviews yet! 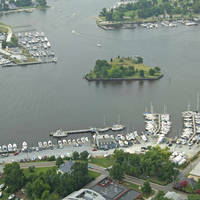 Be the first to write a review of Mill Creek Inlet.